Yoga, basically means union, the unanimous harmony of mind, body, and spirit. For instance, if you look down a lake without any tides or dirt, you will be able to see deeper. In fact, if the lake is very clear without any ripples or dirt, you may even see till the bottom. However, if the lake is dirty or has high ripples, you cannot see much deep. In this case, you can assume the depth as your spirit (your true self) and the ripple/tide or the dirt as the distortions of your mind. Which means, a disturbed or a messed up mind doesn’t let you see your true self, your spirit/soul. Hence, yoga is the tool that liberates you from your mental distortions, your false notions, the illusions; it calms your mind from those distortions and hence unites you with your highest self. In simpler terms, Yoga unites the individual consciousness with the Universal Consciousness. Today, Yoga is more popular than ever, either understood as a form of physical exercise or as asanas (physical postures), everyone follows it to have better control of mind and body and to enhance their well-being. In 5,000 years of its history, the term “yoga” has gone through a massive change in its culture, exchanging the loincloth for a leotard and leggings. In this article, you can understand what is Yoga, its history, types, the changing culture, Yoga Sutras, and benefits. What is Patanjali Yoga Sutras? Yoga has its roots up to the ancient times of civilization. From the Vedas to modern practices in the gyms, it has come a long way. Believed to be originated more than 5000 years ago in ‘the spiritual capital of the world’, India. Historians state that the practice of yoga even dates back to the Indus Valley Civilisation (3000-1800 BCE), and the Quetta, Harappan, and Mohenjo Daro civilizations. Excavations carried out in these areas brought to light the Pashupati Seal, that shows a figure sitting in a yogic posture. Thus, explaining how yoga was already known and practiced even then. Regardless, yoga is perhaps most systematically elaborated and presented in the ancient philosophy, The Patanjali Yoga Sutras. Sutras (in Sanskrit) literally means a thread or string that holds things together and more metaphorically refers to an aphorism. The Patanjali Yoga Sutras are completely dedicated to the knowledge of Yoga which still is the strongest influencer of most modern forms of yoga. It is an ancient philosophy that enlightens one in the knowledge of yoga, its origin, and the ultimate purpose. Its purpose is to make the principles and practices of the Yoga formulae more understandable and accessible for all. In the Yoga Sutras of Patanjali, practical and easy suggestions are presented through which one can experience the ultimate benefits of a yogic lifestyle. People do yoga for numerous reasons, flexibility, relaxation, and mindfulness are among the most common reasons people try it. Yoga is a tool of personal transformation, perhaps the best one. Many people find that yoga is a vital part of their spiritual lives. It is because yoga brings the mind into focus, yoga practice can lead to a state of mind in which we have clear insights into the world we live in and ourselves. When these insights are guided by reflection on spiritual principles they can help us change in a positive direction. Various studies and research have confirmed the numerous mental and physical benefits of doing yoga. Its daily practice can help enhance your physical, mental and spiritual capabilities. Thus, it is essential to find some time to practice yoga daily and keep yourself up to the mark. Change is inevitable and it is true in with practices and the culture of yoga. Yoga has come a long way and with the changing time, there are many practices of Yoga that has progressed as well. 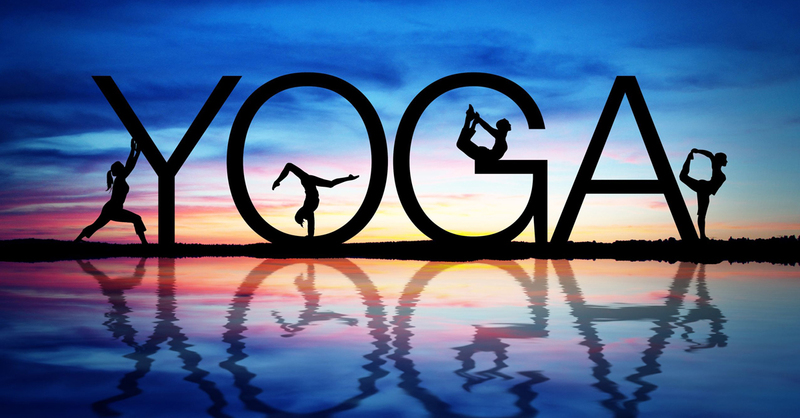 In the past few decades, we have seen the Yoga culture going through various transformations. From being frowned upon to being hailed as one of the best natural therapies out there, it has come a long way. The barriers of caste, creed and social status have been uprooted from yoga to bring it to every home. Rewardingly, the benefits of yoga have not gone unnoticed in the international community. Thus, the United Nations has passed a resolution to celebrate yoga by announcing June 21st as the International Yoga Day.